I am finally back to blogging. I can’t say how good it feels to sit in front of a blank screen this morning and quietly ripple out into a larger digital world without pressure or time constraint. A lot has happened since my last entry in February, and there will be plenty of opportunities to comment on that in the future. Lately, I have been thinking about this short Christopher Hitchens clip rather a lot. In secular news. . .
NPR recently released an article concerning a poll that finds Americans moving away from religion. One of my favorite organizations, the Center for Inquiry, announced that Melody Hensley was stepping down from her role as Executive Director. Melody was one of the primary people to create and sustain the Women in Secularism conference, and I’m devastated to see her go. More to come on this later. Rational writers and publishers continue to be murdered in Bangladesh. There will be an Atheists of Facebook online convention this Saturday, November 7th. It’s a new effort with a variety of speakers scheduled throughout the day. The American Humanist Association continues to gain traction and more followers. Matt Dillahunty visited my alma mater last night for a debate with Dr. John Ferrer, and I am anxiously waiting to read the coverage on the debate. I have some interviews planned, forthcoming blog features, and I am accepting nominations for the Laika Spotlight. Enjoy your anarchy this Guy Fawkes Day, everyone. Another post to come soon! Sarah, I have never considered atheists as an oppressed group. Would you consider yourself and others oppressed? Whether or not an atheist is oppressed depends largely on his or her environment and means of expression. When it comes to thoughts about oppression, we may be dealing with a difference in, not only perspective, but also definition. I do not answer for a collective group, but represent only my thoughts and observations as an atheist living in the southern United States. Many would probably avoid the word “oppression” in regard to the treatment of atheists, and you’ll notice that even I lean more toward “discrimination” and other synonyms at times. Where I live and grew up, atheists are the recurrent recipients of negative stereotype and prejudice. An open atheist risks being called “evil” or as with a past teacher of mine— losing their job if their boss knew about their beliefs. The environment of fear is palpable. One of the past (and most frequent) arguments I have heard entailed a difference in visibility, particularly when comparing atheists to African Americans in the south. The premiere point being that one cannot tell if another person is an atheist by merely looking at him or her. The same cannot be said for African Americans or other people of color. Therefore, the atheist has a type of comparative privilege and societal camouflage. But what if an atheist was made visible in some way? 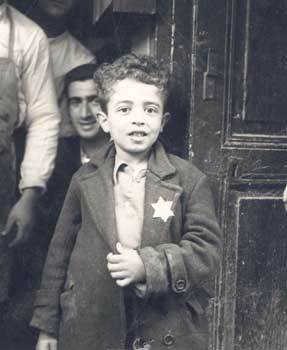 (Recall briefly how Jewish people were made to wear the yellow star of David during World War II.) I would not, for a second, want to wear some type of t-shirt or other garment denoting my atheism and walk around my hometown adorned. I would risk subsequent ostracism and threats. To further comment on this comparison, I will say immediately address how silly I find this contest of oppression and its subsequent degree. Person #2: I’m oppressed more! At the same time, atheists tend not to be parallel to the same amount of physical violence as the LGBT community or the same level of economic oppression as women. Nonetheless, there is an astonishing amount of anti-atheist sentiment in the United States, and like these other aforementioned groups, atheists represent a minority within the general populace. People have been oppressed for ages based on their race, class, gender, ability, sexuality, age— and of course, religious connotation or lack thereof. The argument that atheists are not oppressed because of separation of church and state or freedom of speech is simply illogical. Just because the United States abolished slavery doesn’t mean African Americans aren’t oppressed. The same can be said for atheists. I do not attempt to victimize myself by writing this response and have struggled greatly while trying to find structure within this defense. I often feel that if I raise the point of atheists as an oppressed group, then I may be accused of an emotional pursuit to garner sympathy. The result, therein, becomes silence. If I don’t speak openly about oppression, then again the result is silence. It’s the inherent Catch-22. Oppression runs deep within the culture of silence; and through adherence to silence, I am being programmed into conformity. various faces/types of oppression. Thank you for this question, Anon! When I was younger, I used to say things like, “It’s easy to know if you are being bullied or not.” And I was wrong. With time, it has become exceedingly accessible to call people bullies, in the way that introversion and gluten-free diets have also turned into something more popular. Some people are taking the topic of bullying that affects a percentage of people and misapplying it to fit a broader range for purposes largely related to attention and the self. Now, anyone who disagrees with another person is a strong-fashion bully, just as how anyone who doesn’t like playing frisbee golf is suddenly an introvert. I hear the words “I’ll pray for you” or a paraphrased equivalent frequently. There are two ways this statement can be made. The first healthy way is to allow a person know that the speaker genuinely cares for the subject and wants him/her to feel relief. Prayer thus being the pursuit of healing (Part 1). 1. I have a special relationship with God that you lack, because you are an outsider/sinner. 2. I will use my special relationship to see that you are forgiven or censured. Both the religious and non-religious have heard the contempt behind “I’ll pray for you” at one point and the goodness behind those words at another. Sometimes, it’s difficult to know the connotations behind the phrase, and that is when discussion needs to occur and remove the gray area of assumption. When I tell someone I am an atheist and he/she replies with “I’ll pray for you,” I generally think those words are an unconscious statement of contempt in the guise of goodness; and that’s the thing to remember about contempt, it comes in many faces. These words are typically said when one person views another as lesser due to their lifestyle, views, choices, etc. At that point, “I’ll pray for you” or a similarly correlating statement becomes a verbal tool for judgement and personal denouncement. So what exactly makes “I’ll pray for you” religious bullying then? The religious bully says “I’ll pray for you” with a dismissive tone to someone often seen as “in the wrong.” You, the subject, the nonbeliever, the homosexual, the recently divorced, the promiscuous unmarried woman, etc. do not know the path to God because of your identity, sexuality, situation, and so forth. My advice to the recipient of this phrase’s contempt would be to speak. Be indignant. Practice voice. Remind the speaker of their unnecessary verbal and mental abuse . Tell the religious bully why you are not in need of that prayer, because there is absolutely nothing wrong with you. My friend did not seem nearly as perturbed by the speaker’s disbelief in prayer as he seemed off-put by her timing of the statement which seemed more the product of egocentricity than sensitivity. My friend questioned why the speaker felt clarity imperative and also worried about the dismissive/general attitude conveyed through her message. I have never felt the need to identify myself as a non-believer in those moments, because to do so felt like a rejection of someone’s compassion. However, I understand why the speaker felt compelled to say she doesn’t “really believe in prayer.” While I do not know her intent or reason for expression, I think her statement was made to convey a disbelief in divine intervention/miracle. Nevertheless, when discussing the relevance of prayer, her mindset seems to express a stereotypical view on how people pray and does not properly observe the subjective experience of prayer. At the same time, I also sympathize with the speaker, because I know how it feels to be the non-believer surrounded by a group of the religious inside a hospital room, lobby, corridor. The effects can feel suffocating. Despite this, I write to encourage fellow atheists to see the positive aspects of prayer in these situations, because to dwell on the negative or pervasiveness will only make such circumstances more difficult and tense. While staying with my father in the hospital, I tried to recognize the prayers of others as both a coping mechanism and an expression of empathy for the suffering. I would often thank them and genuinely feel a sense of gratitude, because to those offering prayer, the concept of prayer means something. A perhaps too convenient or silly analogy to make at this time of year could be a similarity between prayer and giftgiving. One person knits a pair of socks for a friend- chooses the yarn carefully, pays attention to detail and craft, etc. Then, that person gives the socks to the recipient, someone who incidentally does not wear socks, because he/she finds them restrictive and prefers sandals. To the recipient, the socks have no practical value or purpose directly related to their life, but there is still something inherently good in those socks- a symbol of comfort, fondness, and time. A sign that someone cares. Even though I am nonreligious, I hope that if ever hospitalized or ill or dying that someone out there decides to pray for me, not because I believe their action will make me well but because I would find warmth in their sentiment. religious bullying and purveyor of wanton judgement.